1. 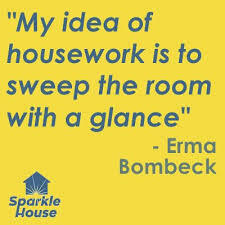 Erma Brombeck rightfully earned her place as one of our best-loved and funniest humorist -- as well as one of the most astute observers of everyday life. 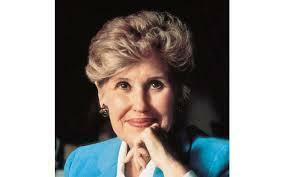 When she died in April 1996, she left a legacy anyone could be proud of -- three major newspaper columns, over 13 books, and the Erma Bombeck Writers' Workshop, which is believed to be the only national workshop for humor writers. At the height of her popularity, 900 newspapers syndicated her column to an audience of 30 million people. Here are a few more things about her you may not know. Which of these did you know already? Erma started elementary school one year earlier than usual for her age and became an excellent student. Young Erma tremendously enjoyed popular humor writers. Erma was hired for a local radio show as a child; she tapped and sang for eight years. In Junior High School, Erma began writing a humor column for the school paper and in high school, a serious column. Erma's first job was as a copygirl for the Dayton Herald. Erma's first journalistic gig was to interview Shirley Temple on her visit to Dayton, OH. The interview was featured in the paper. She left Ohio University after one semester, failing many of her literary assignments and was rejected by the university newspaper. In 1978, Erma's column was published in 900 newspapers in the US and by 1985 she was published also in Canada as well as being collected for a series of books. She wrote multiple TV shows, none were successful but she did become a TV personality for a few years doing commentary and interviews on Good Morning America. Knew all of these -- big Erma Brombeck fan! 2. Of course, what she is the most famous for are her quotable observations on everyday life. 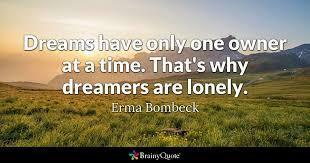 The Erma Bombeck Writers' Workshop occurs every two years at the University of Dayton, the alma mater of the American humorist and proud daughter of Dayton. The weekends offer tributes and inspired hundreds of writers to carry on in the spirit of the writer who in a 32-year career observed the life of a suburban housewife and mother with deft, wise humor. Here are just a few of her quotes on being a mother and housewife. Do you identify with (or just plain like) any of these? Cleanliness is not next to godliness. It isn't even in the same neighborhood. No one has ever gotten a religious experience out of removing burned-on cheese from the grill of the toaster oven. 3. Here are a few more of her quotes, on other subjects from humor to weight loss, and everything in between. Which of these do you like? Seize the moment. Just think of all those women on the Titanic who waved off the dessert cart. It's frightening to wake up one morning and discover that while you were asleep you went out of style. Throughout the years I have set up my own rules about eating food: Never eat anything you can't pronounce. Beware of food that is described as, "Some Americans say it tastes like chicken.